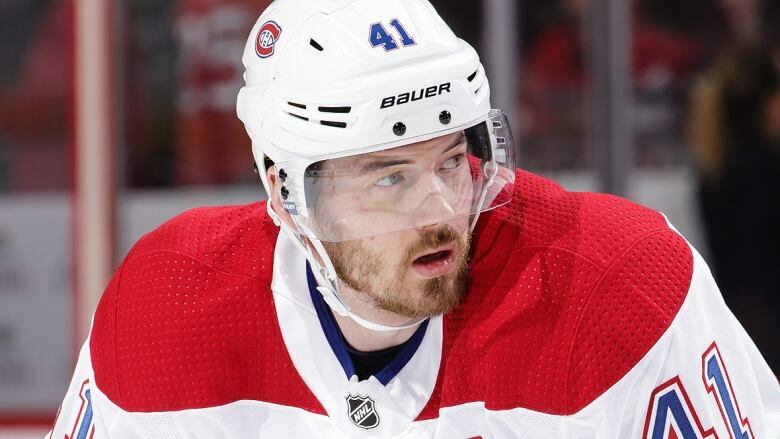 Montreal Canadiens forward Paul Byron has been suspended three games for a hit that injured Florida Panthers defenceman MacKenzie Weegar on Tuesday night. Byron was given a minor penalty for charging on a check that left Weegar in concussion protocol during the second period of Montreal's 5-1 win over the visiting Panthers. Both players are natives of Ottawa. In a video explaining the suspension, the NHL's Department of Player Safety says "Byron launches himself excessively upwards coming off the ice to deliver the hit and in the process makes significant and forceful head contact." It marks the first suspension in Byron's 397-game NHL career. "There is no reason why the shoulder of Byron should be making direct and forceful contact with Weegar's head," the Department of Player Safety says. Under the terms of the collective bargaining agreement and, based on his average annual salary, Byron will forfeit $18,817.20 US. The money goes to the Players' Emergency Assistance Fund. Byron tweeted on Wednesday that he is accepting and respecting the decision, but emphasized that he had no intention of causing injury to Weegar. Byron will miss Friday's game in Columbus, Saturday's home game against Philadelphia and a Jan. 23 tilt against visiting Arizona. He'll be eligible to return Feb. 2 against New Jersey.